There’s a fantastic moment halfway through Max Payne 3. The titular hero has reached his boiling point, shaved his head, and gone underground into Sao Paolo’s gritty favelas. Things are looking down. A local gang has robbed him of guns, watch, and even his sunglasses. He’s been kicked into a ditch full of trash and sewage. And as he traverses through a stream of filth and philosophizes about his lot in life, we understand how he’s somewhat complicit in perpetuating this societal imbalance through his steady stream of gunfire to protect the wealthy. It’s a segment that feels like a filth-smeared complement to Uncharted 2’s critically lauded “Tibetan Village” section. And it’s a moment that beautifully epitomizes the experience. At its most distilled essence, Rockstar’s fabled series is a giant shooting gallery. You move from spot to spot in a rather confined experience, all while largely doing the same activity. But once you pile on the layers of depth –its hallucinatory visuals, exciting locales, gruesome executions, and the ugly consequences of addiction – you’ve got the makings of a phenomenal action title. Even out of the hands of original dev team Remedy and writer Sam Lake, Max Payne 3 updates everything for a new age, and resultantly, it’s a must-play game. Max Payne 3 finds our hero in Sao Paolo, albeit older, heavier, and scarred from the events of the prior games. He's working security detail for Rodrigo Branco, a wealthy Brazilian banker whose trophy wife, Fabiana, has been abducted by a notorious street gang, Comando Sombra. The Branco family, from hard-partying Marcelo to local politician Victor, are well-off and offer Max plenty of exposure to the city’s elite. And its bottles of brown liquor. Max isn’t quite the hard-boiled cop or the star-crossed and conflicted hero of the prior two games; instead, he has grown into a self-medicating mercenary. Whereas painkillers were used as a healing device in the prior games, Max not only uses them as in-game healing, but constantly comments about his dependency on pills. On many occasions, you’ll see him in cutscenes with booze in hand, or waking up with a hangover. As every single attempt to rescue Fabiana fails, Max and his partner Raul Passos find themselves getting more desperate, and find out just how deep the motives behind this abduction get. Based on your familiarity with law enforcement, poverty, and blatant civil and human rights violations in large South American cities (or viewings of movies like Brazilian action blockbuster Elite Squad), some of this may not be so shocking. But it’s still well-told. Along the way, you’ll shoot your way through a variety of colorful and beautifully designed locales – each following the game’s formula of big slow-motion setpieces and opportunities for big action movie-driven moments – from a nightclub shootout that evokes Tom Cruise’s stand-off in Collateral (gray suit included) to a bloody escape from a soccer stadium to the same level of massive moments that drove John Woo’s finest Heroic Bloodshed genre. It’s a fascinating contrast to Remedy’s visually darker, grittier East Coast corridors (and yet, those moments aren’t as far removed as you’d expect). Again, at its core, Max Payne 3 is a glorified shooting gallery. But what a gorgeously laid out gallery it is. The game’s charming and driving achievement is the concept that no matter how similar the gameplay is from moment to moment and beat to beat, the world is so gripping that you can’t help but to feel engrossed. Aside from the colorful and exciting backdrops, the gunplay has taken on a different style in Max Payne 3. Bullet Time and Shootdodge still allow you to deal death in slow motion, but Max can now stay on the ground and shoot from prone positions. You have the option of three shooting styles that let you choose between traditional free-aiming, semi-assisted target, and full-on assisted targeting, all of which complement the difficulty curve. 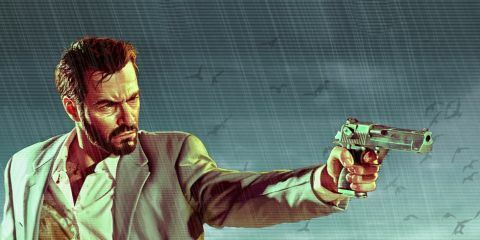 With the introduction of heavily cover-based gameplay, Max Payne 3 beautifully weds the unique elements that defined the classics with a contemporary feel. Also, in later stages, the difficulty ratchets up as dissolvable cover starts to pop up, and you’ll see flimsy shanty walls and barriers become more susceptible to gunfire. Since leaving the NYPD and New York itself behind, Max has drifted from bad to worse. Double-crossed and a long way from home, Max is now trapped in a city full of violence and bloodshed, using his weapons and instincts in a desperate search for the truth and a way out.